The fifth annual BlogWorld & New Media Expo just concluded & many exhausted bloggers are on planes, trains, and in cars on their way home. Lots of great information this year and some real stand out performers amongst the 4,000 attendees, 150 sessions, and 275 speakers. 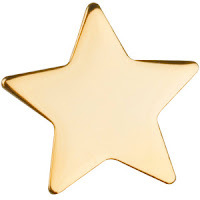 So, without further adieu, let's give out some gold stars! If you didn't attend Marcus' session on 7 Blogging Ideas That Will Brand Your Business, you missed out big time. This high energy session gave attendees actual executable ideas and Marcus' enthusiastic and humorous delivery kept people on their toes and laughing throughout. If you ever have the chance to see Marcus present, you simply must go. I guarantee you'll leave the room smarter and with a few more laugh lines. If you don't know Mari as the Facebook Marketing maven that she is, perhaps you know her as the alluring blond in the turquoise and bling. Mari uses turquoise and sparkly things throughout her branding (e.g. website, Twitter, Facebook, etc. ), but Mari takes her branding one step further. She wears it. Walking about the conference in turquoise clothing, shiny earrings, and a turquoise rolly bag, there was no way you didn't know who she was. Mari doesn't just talk branding, she oozes it in everything she does. Peter is best known as the guy who started Help A Reporter Out (HARO) and who worked like a maniac to complete the Iron Man. However, I think many folks had no idea how amazingly funny this guy is. His keynote was filled with inspirational stories of how he took chances, seized opportunities, and made a ton of money because he didn't let fear hold him back. Forget going to your local comedy club or searching Amazon for a book to inspire you. Peter delivers both and serves it up on a silver platter. If he's ever delivering a speech in your town, go see him and pay whatever it costs. This was the final session of the conference and, as such, many folks had already bailed. What a loss for them! This panel was great and the highlight was Aisha Tyler, who brought the house down with her nonstop jokes and antics. Jace did a superb job as moderator (a job that most people stink at! ), Tim had all the guys in the crowd with his stories of lingerie models, Justine is iJustine so of course she has a built-in fan base no matter where she goes, and Rick Fox is a genuinely likeable guy who brought the star power. Even some of the best attended sessions had empty seats scattered throughout the room, but not Amy Porterfield's Facebook Marketing session! Every chair was filled, people were sitting in the aisles, hugging the walls, and trying to look in the door. Amy knows how to fill a room (and a hot topic doesn't hurt, either)! Give this girl a larger space next time, guys! The Exhibit Hall had lots of companies. Some handed out candy, a few gave out sippie cups, others gave out t-shirts, but hands down the best giveaway came from the Yahoo! booth! These guys knew their audience and weren't stingy. The gave away a canvas tote bag, a t-shirt, and the best part was The Yahoo! Style Guide: The Ultimate Sourcebook for Writing, Editing, and Creating Content for the Digital World book. Five-hundred pages of great info and the most useful conference freebie I've ever received. Kudos Yahoo! Klout is a easy target for those in social media. Want to go for the laughs? Mock Klout. However, the way Tom did it was absolutely fabulous! He was talking about how all of our parents remember where they were and what they were doing when Kennedy was shot or when the Space Shuttle exploded. We, however, will all remember the day of the Kloutpocalypse--the day last month when all of our Klout scores plummeted. And the funny part is, if you're in social media, that is totally true! Mack's live #blogchat session concluded with Mack passing around the microphone to everyone in the room and asking them to say their Twitter handle. This was the best value-added move in the entire conference. Turns out there were four people in the room who I had been searching for for three days, but hadn't yet connected with. There were many more there who I didn't recognize by sight, yet knew right away once they said their Twitter name. Had Mack not done that, I would have never known those people were sitting in the same room as me. Nice way to bring your audience together, Mack! Your turn! Who do you think deserves a BlogWorld Gold Star? What did you enjoy about the conference? And, if you didn't go, will you be attending next year? Agree with your awards on the sessions I went to. The Marcus session was great. Sorry I missed the best panel session. Enjoyed hanging with you. Looooove me that Marcus! Great spending time with you. Good luck with the corporate blog post! C'mon! You forgot the best HAIR award! To YOU! Ha ha! ;-) Very kind of you, Bruce. I'll sell it to you for the right offer! You get the award, Amber, for writing this great article, making us wish we were there! Excellent write up. "I'd like to thank Amber and the #Blogchat community....."
Thank ya darlin', I was so happy you made it to Live #blogchat, I was just telling a friend how many times I heard someone scream 'OMG!' then tackle someone else ;) Loved it, and you are a part of the reason why it was so amazing. Thank you. I just so appreciated that you did that, Mack. Sorry to mess up the audio of your session with all my "Oh my gosh, it's _______" squealing! I had been trying to find some folks forever and was so grateful to know they were sitting right in the room with me. Amber! How did we miss each other?!? Shoot, girl, didn't know you were attending. What a big fat bummer. Next time..
Oh no! They did tell me but only "Amber" and I thought it was Amber Naslund, who now must think I"m totally nuts for texting her to say I was at the booth. What a shame. I'm SO sorry and extremely annoyed with myself for mixing it all up. I had to leave on Sat. at 6 a.m. to get home because I didn't have child care coverage beyond that. The pitfalls of being the lesser known Amber of all the popular Ambers in the social media space! D'oh! Not at all. There was a complicated deduction that was flawed at its core. AN have met before, she was keynoting, Wiley booth was near our both, invited to party for Jason's book, and so on. "I" don't think you're the lesser known - no way!! Totally bummed you didn't have a "Best Nerdy Nurse" category, cause I totally would have won that one! Great choices on the #BWELA awards. Jordan Cooper @NotAProBlog the stand up before the panel in the closing keynote deserves mention I think. I'm so glad we got to share Live #BlogChat with @MackCollier together. Oh, yes! Good addition, Linda! Jordan was a riot! Nothing like a comic who can tell good social media jokes that are completely legitimate! Great seeing you, too, Linda! Loved your awards categories...makes me want to attend a BlogWorld Expo someday. I would loved to have seen Marcus Sheridan and Mack Collier and Mari Smith and I'm intrigued by Peter Shankman (since I use HARO) I'm so glad that you had a good time and I am VERY glad that you shared here...thank you Amber!! Ha ha! Good point, Tom! Who says the data guy can't bring the funny, right? Hi Claudia! Oh, I know how you feel. In the beginning, before I went, I'd read the tweets and posts and think I WANT TO GO! Jackie! Wonderful to meet you, too! Would have been so disappointed not to cross paths with you. I'll have to listen to the audio from Mack's session to see how silly I sound screaming everyone's names when they say their handles. I was just so excited to know people I had been looking for were only five to twenty feet away from me. Amber, aloha. While i didn't attend, I love your awards. Each of the "lucky recipients" should be delighted with what you had to say about them. Aloha, Janet! Thanks so much for stopping by! It was definitely a blast to get to see so many faces - old and new. A little bummed I didn't get to attend a few of the sessions you noted above (it's been a busy week). But still, I got to chat with a few of the people I was looking forward to meeting. Blogworld's always done a great job of bringing good people together. Yeah, it was great to put real life faces to the avatars we've come to know! Always a powerful way to add another layer of greatness to the community feeling! I was sitting behind you at the last keynote and I know we both got a kick out of Jordan Cooper, too! He was pretty darn funny! Today I have been trying to catch up with life and work; however, I keep coming upon great posts like yours. What is amazing is the number of great sessions, you saw many that I didn't get to enjoy...but I learned so much from the ones I did attend. Sitting in #blogchat was hysterical. Amazing what you can learn with 140+ "characters"! What is so funny is that when I first walked in and sat next to Alli Boyer @allison_boyer I asked if she had seen you. I said "I think she has long auburn hair...but who know!" And there you were sitting 3 seats from Alli. Anyway...here's to next year and staying in touch over the next year! Here's to bibs. I lived in Anchorage from late 1982 - 1985. I take it you lived there also? Ha ha! I know, right? There were three people in our row and it was you, Allison and me! Who knew???? I'm so with you on the social media bib idea. Just chic it up a bit and I'm on board. Perhaps that's your million dollar idea that will support a swanky retirement on an exotic island! Ha ha! It was a great ending to a great conference, Mack! You did? I'm gonna DM you, missy! Thrilled beyond measure with your words here!! Woo hoo! You're officially my favorite lion, Marcus. Seriously, lots of conference sessions can be about theory, but you gave people tips that they could immediately apply. That's golden. I'm sure the folks who attended will look like rock stars once they start doing the things that you advised. Totally stoked that we got to connect at live #blogchat!!! I hope that next time we cross paths, I won't have to run off so quickly and we can actually have a proper conversation! Thanks so much for writing about BWELA. I think your picks are fabulous, and am especially looking forward to checking out Amy's session via virtual ticket since I missed it! Amber we kept passing like ships in the night down the halls. Then in the LIVE #blogchat I was up on the stage so again missed sitting with you. Hey Michele! Thanks for stopping by! I'm extremely disappointed we didn't get to meet at the conference. If you see me in the crowd next time, please be sure to throw something at me so we can connect! Yay! Your comment finally showed up! How nice of Rick! Great award, Kelly!